See how to calculate loan payments, and show the total amount repaid, if the Check Box is checked. No macros are required -- the formulas do all the work. 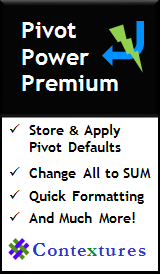 Thanks to Dave Peterson, who contributed this technique to change the formula results with a CheckBox. You can use this technique in other workbooks too -- for example, use a checkbox to specify if tax should be included, or to add an employee discount to the price. 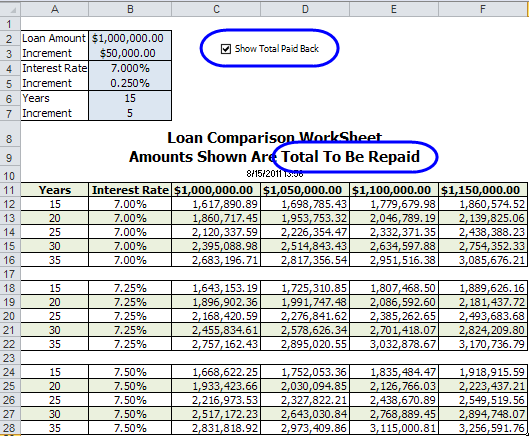 This worksheet calculates loan payments, using the PMT function. At the top of the worksheet, you'll set up a data entry range, where you can enter the loan information. Put these headings and values in cells A2:B7 -- the green cells are the variables, and you can change them later. Next, you'll set up the headings for the Loan Payment table. Most of the heading cells contain formulas, linked to the variable cells. 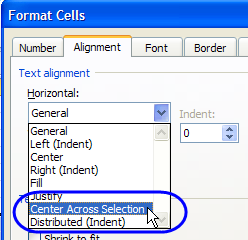 Select cell D11, and copy it across to cell F11, to complete the column headings. There are three groups of row headings -- one group for each interest rate. You'll set up the first group, as described below, then copy it to the create the other groups. Select cell A13, and copy it down to cell A16, to complete the first group of Year headings, with increments. Select cell B12, and copy it down to cell B16, to complete the first group of Interest Rate headings. Select cell B18, and copy it down to cell B22, to complete the second group of row headings, showing the interest rate with one increment. Click on cell A24, and paste, to create the third group of row headings, showing the interest rate with two increments. A checkbox from the Form controls will let you see loan payments, or total amount to be paid. 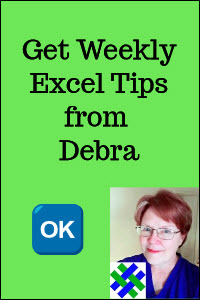 On the Excel Ribbon, click the Developer tab. 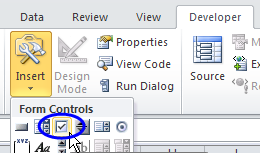 Under Form Controls, click CheckBox, to activate that tool. Click in cell C2, to add the CheckBox there. On the Properties tab, remove the check mark from "Print Object"
On the Number tab, select Custom as the Category. You'll be able to see TRUE or FALSE in the formula bar, but nothing appears in the cell, thanks to the custom format. Next, you'll set up the worksheet headings. The heading in cell A9 will change, depending on the checkbox setting. If C1 is TRUE, it will end with "Total To Be Repaid". If C1 is FALSE, it will end with "Monthly Payments". 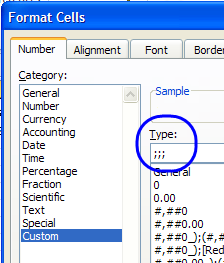 To centre the headings, select cells A8:F10, and on the keyboard, press Ctrl + 1 to open the Format Cells dialog box. On the Alignment tab, under Horizontal, select Center Across Selection, then click OK. This will centre the headings, without merging the cells. The next step is to add the loan payment formula. The formula uses the PMT function, to calculate the monthly payments. rate: The rate is in cell B12, and that annual interest rate is divided by 12. The PMT function calculates the loan payment for a single month. With the checkbox at the top of the worksheet, you can opt to see the total amount to be repaid. That would be the monthly payment, multiplied by the total number of payments (number of years x 12). At the end of the PMT function, you'll check the value in cell C1, which is linked to the checkbox. If cell C1 is TRUE, then the monthly payment is multiplied by the number of payments. If C1 is FALSE, the monthly payment is multiplied by 1. After you enter the formula in cell C12, copy it across to F12, and down to row 16. Then, copy the PMT formulas from Group 1, to Groups 2 and 3. Format the worksheet, with currency, and percentages. If you plan to protect the sheet, unlock cells B2:B7, so the variables can be changed, and unlock cell C1, which is linked to the checkbox. 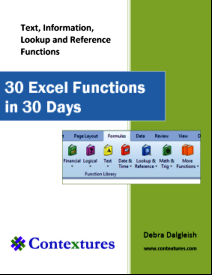 To see the formulas, and test the checkbox, download the free Excel Formula Checkbox sample workbook. The file is in xlsx format, and is zipped. There are no macros in the workbook.